With the next General Election scheduled for May 2015, leading recycler Closed Loop Recycling says time is running out for the implementation of the measures needed by the waste and recycling industry to deliver on the Government’s recycling targets. While the Government plans the next 12 months of legislation, Closed Loop Recycling CEO Chris Dow and a number of key industry figures are keen to see the Government acting more quickly to deliver on its pledge to be the greenest administration in history. They fear that not only will the Government’s targets not be met, the UK recycling industry risks slipping behind its European competitors to offer the best recycling capabilities in Europe. China’s current ‘green fence’ policy, which is having a knock-on effect on PRN/PERN values, further highlights the need for the UK to tidy up its own act quickly and revise outdated legislation in order for the UK industry to thrive.Comments Chris Dow: “The current situation in China and the impact it is having here in the UK, particularly in relation to PERNs, speaks volumes about the inadequacies of our existing legislation. As it currently stands, British packaging companies are subsidising the export of valuable recyclate which should be going back into British packaging and back on the shelves of British retailers. Chris says that the industry itself has more than stepped up to the mark, with investors and funding having developed the infrastructure to deliver on the targets. 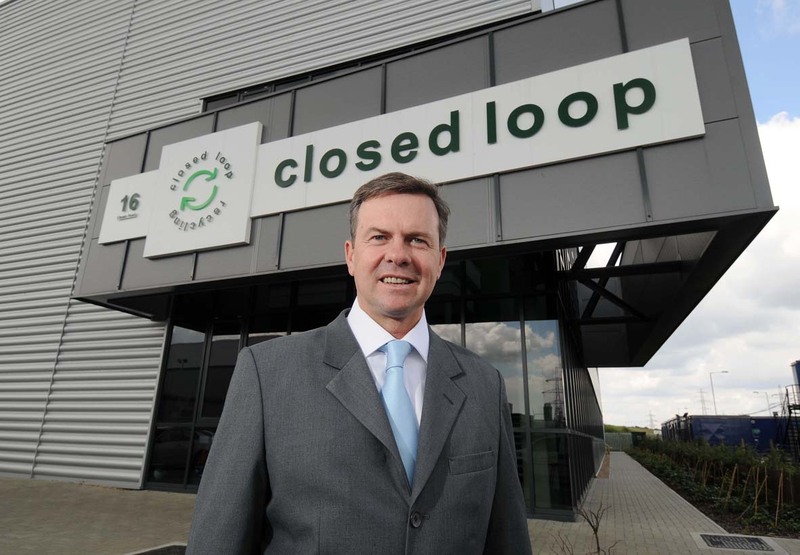 For example, Closed Loop Recycling is on target to process six million bottles a day by the end of 2013, but Chris believes that if there is not prompt action to address the loopholes and unintended consequences of current regulations, the potential to develop the UK industry will be lost to overseas markets. He adds: “Our recycling industry is critical to this country’s economic recovery and the UK cannot move out of recession without supporting green industries. Many tens of thousands of jobs are involved.”On a recent visit to Italy to visit a plastic reprocessor, Closed Loop Recycling strategy committee Chairman, Paul Levett witnessed the success the Italian recycling industry is achieving in increasing material quality, which is having a knock-on, positive effect on industry performance and growth. Chris Dow, Paul Levett and their industry colleagues are keen to support DEFRA on finalising their reform package on issues such as a mandatory MRF code of practice, PRN reform and TFS enforcement to provide a robust framework for the industry to invest and grow.